L-R: Stephen Jackson, Karen Wilson and Shaun Sherlock. 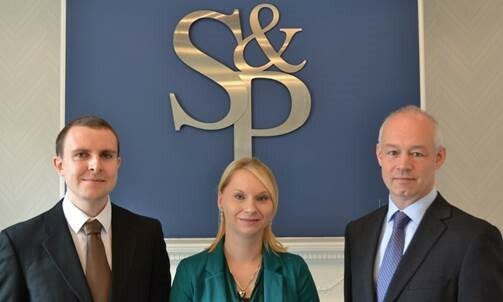 Patent and trade mark attorney firm Swindell & Pearson has welcomed two new trade mark attorneys and a trainee patent attorney as the firm continues to help local and international clients protect their valuable intellectual property rights. Shaun Sherlock has joined as a UK and European trade mark attorney and Karen Wilson joins as a European trade mark attorney. Both previously worked for leading UK patent and trade mark firms before making the decision to join Swindell & Pearson. Stephen Jackson has also joined as a trainee patent attorney. Stephen obtained an MPhys in Physics at the University of Manchester before recently completing a PhD on polymer deformation and fracture at the University of Sheffield.